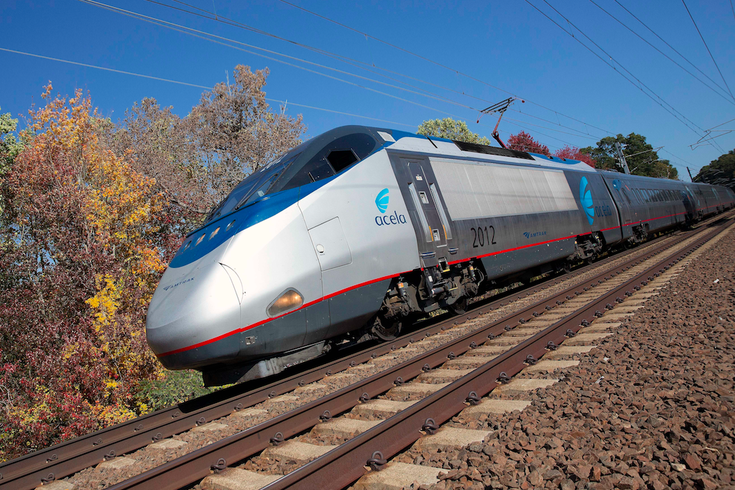 A high-speed Amtrak train traveling from Boston to Washington, D.C., fatally struck a person who had been on its tracks in Delaware County on Thursday afternoon. The Acela train struck the person in the area of SEPTA Regional Rail's Norwood Station around 4:20 p.m., SEPTA and Amtrak officials said. Amtrak officials said there were no reported injuries to crew members or the 293 passengers on board. SEPTA Regional Rail's Wilmington-Newark line was suspended around 4:30 p.m. as authorities responded to the scene. Service on the line resumed just before 6 p.m., a spokesperson for the authority said. Residual delays on the Wilmington-Newark line are expected to remain throughout the evening commute. Delays of up to an hour are also expected for Amtrak commuters, officials said.